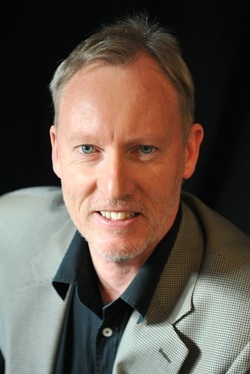 Ian Walkley switched to thriller writing after a career as a social and consumer researcher and marketing consultant. He is a published travel writer and has previously authored and edited two books on small business. 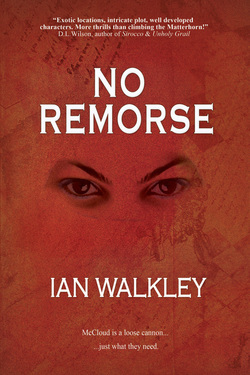 Ian's debut conspiracy thriller, NO REMORSE, is the first in a series, and he is currently finishing a crime thriller titled BAIT. Delta Force operator Lee McCloud has single-mindedly tried to overcome the horror of witnessing his sister being abducted when he was fourteen. So when family friend Bob calls, desperate for help after his daughter Sophia is kidnapped in Mexico, it’s an opportunity to deliver some badly needed justice. After the operation goes terribly wrong, McCloud finds himself teamed with an attractive computer hacker, Tally, and working for a secret organization that seizes the funds of terrorists. Sheik Khalid Yubani, an exiled prince from Saudi Arabia, has his own ambitions, which include a crucial role for Sophia. McCloud and Tally find themselves confronting a global slavery network, dodging assassins’ bullets, and fending off explosives, corrupt militias and sharks as they fight their conflicting feelings for each other. As their haunted pasts catch up, McCloud and Tally realize that, in addition to finding and rescue Sophia, they need to stop a horrific plot that would have disastrous consequences for an already unstable world.